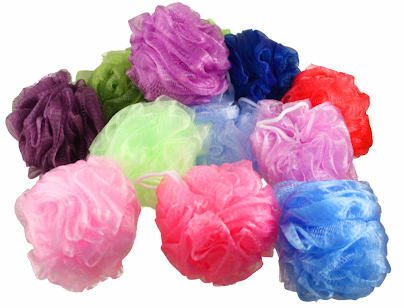 Our bath scrubbies come in assorted colors. Made of extra soft nylon with an attached hanging loop, for drying in-between use. 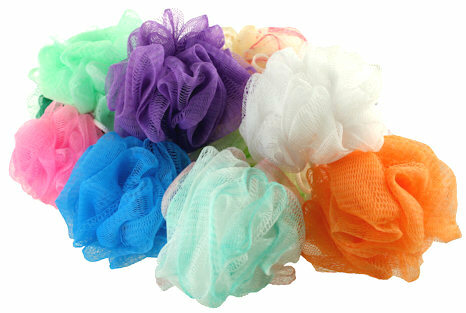 Scrubbies are a nice way to really lather up and cleanse the skin. 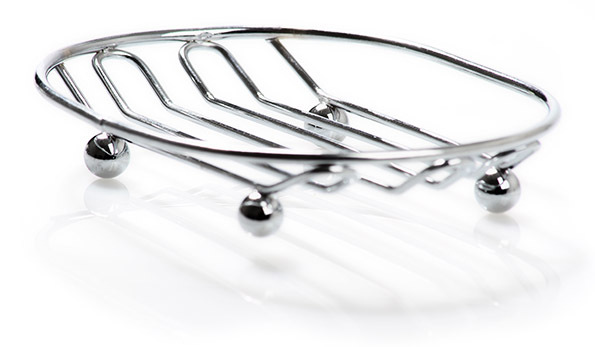 Soap Dishes help your soaps last longer and look great. These Soap Dishes dishes are elevated, helping the soap dry faster extending the life of your bars soaps. Made of highly polished heavy gauge steel. Spot welded and chrome finished for durability. Oval shaped with an approximate size of 4.75" x 3.75" and 1" tall. Designed just like our larger bath poufs, but made in a smaller size for the little ones! Much easier for them to hold and wash themself . Made with extra soft nylon, in a variety of colors. Our Soap Saver Mitt is similar to our original Soap Saver. The difference is your hand slides into the mitt for an all over massage experience. Like a Bath Scrubby and Soap Saver all in one! They stretch open to fit your hand, along with a bar of soap. Perfect for the small left over pieces of soap as well.